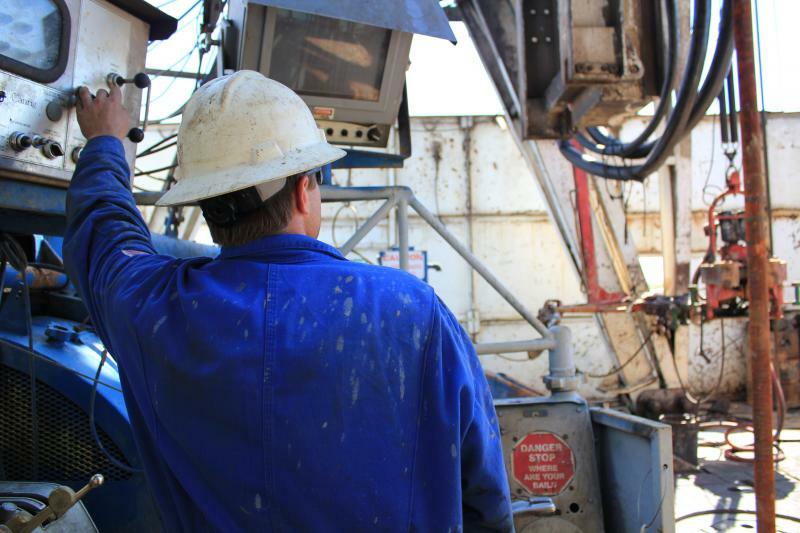 The nation’s first commercial oil-shale mine could be built here in our region. 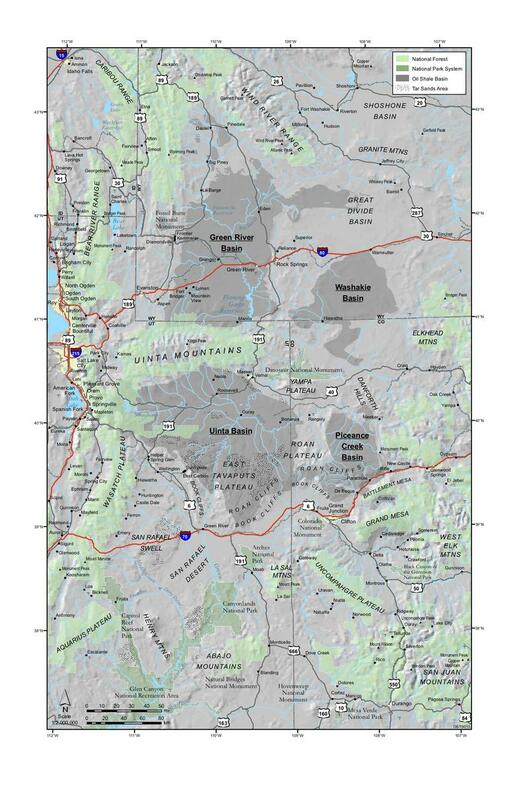 The Bureau of Land Management issued a decision that allows a mine in Utah’s Uinta Valley to move forward. The Trump administration is proposing a rule that would make it easier for oil and gas companies to release methane emissions — a potent greenhouse gas – into the air. The proposal targets an Obama-era policy pushing energy companies to fix gas leaks. 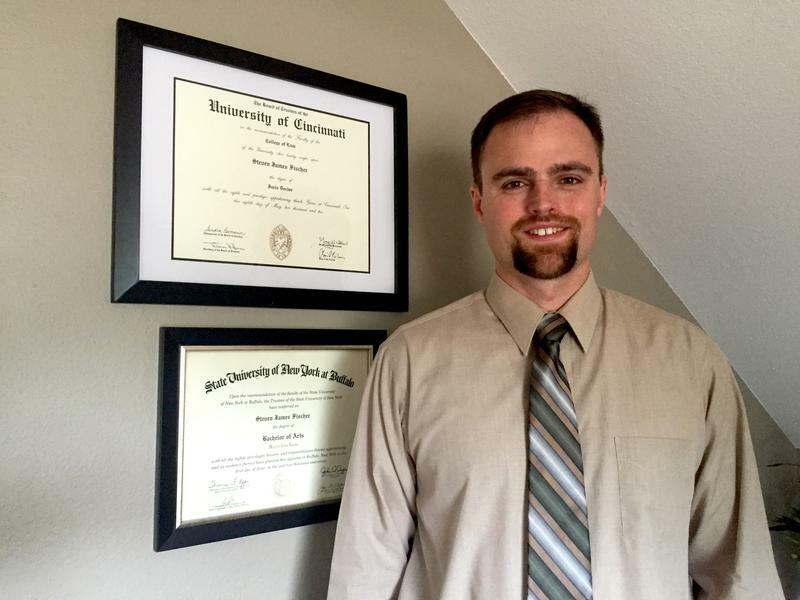 Coal could soon be used to make affordable carbon nanomaterials for mass use. The sci-fi sounding production is already used for things like water-resistant coats, electronic displays, or even dyes and pigments. Though, for now, it’s developed with expensive oil or gas feedstocks. Oil prices have shot up in the U.S. after Russia and Saudi Arabia announced they would continue limiting supply of petroleum to the global market. They’re the two largest oil exporting nations. 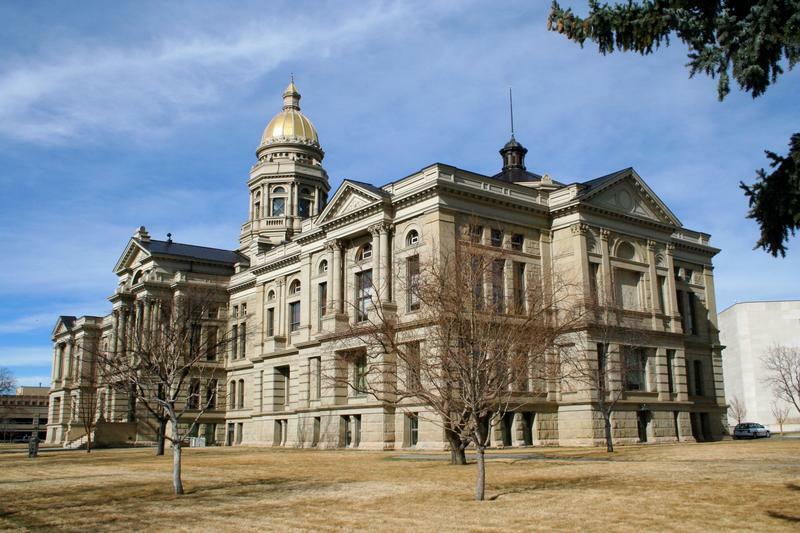 Higher oil prices should increase production temporarily in Wyoming. Right now, production in the state is down 14% compared to last year. 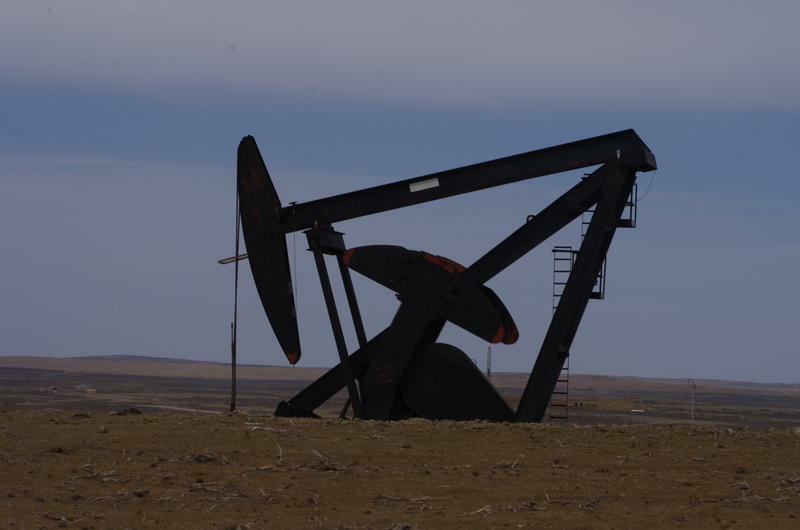 Oil production continues to fall in Wyoming. The first records of the state’s production in 2017 show it’s down about 14% from the same time last year. Oil and gas commissioner Tom Fitzsimmons said that decline is likely to continue. To stop it, prices would need to stabilize first around $55 per barrel while they have recently been between $46 and $48 per barrel. Fitzsimmons said prices are driven up if there's less supply, though that supply keeps on coming. He pointed to the state’s network of ducts. 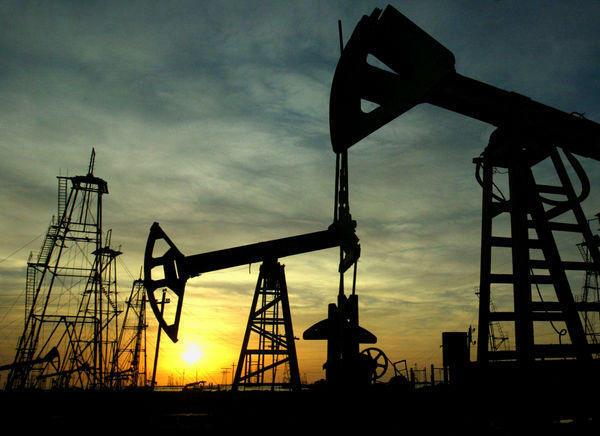 With a record increase in U.S. crude stockpiles this week as well as increased production from OPEC, it is looking more and more unlikely oil prices will rebound in the near future. Oil opened November back below $50 a barrel, after spending much of October above that threshold, and analysts are increasingly forecasting the coming year will not bring much improvement. 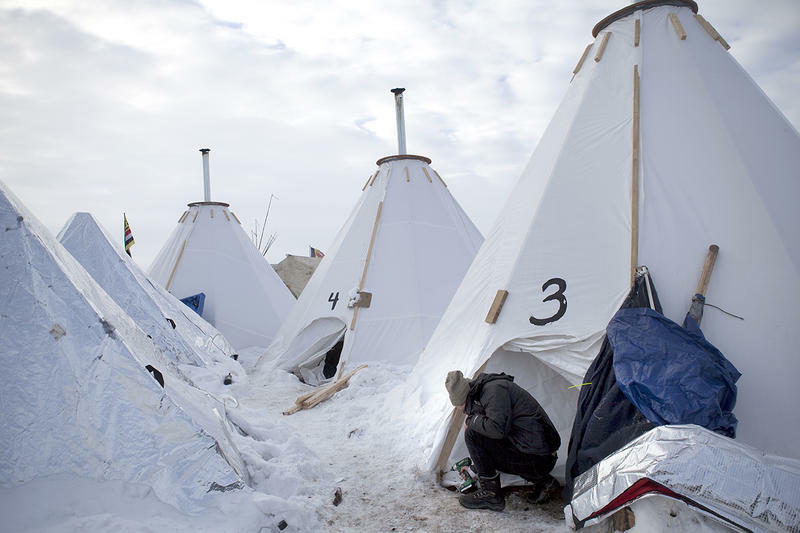 The Obama Administration’s decision to temporarily halt construction on part of the 1,200-mile Dakota Access Pipeline has the oil industry on edge. 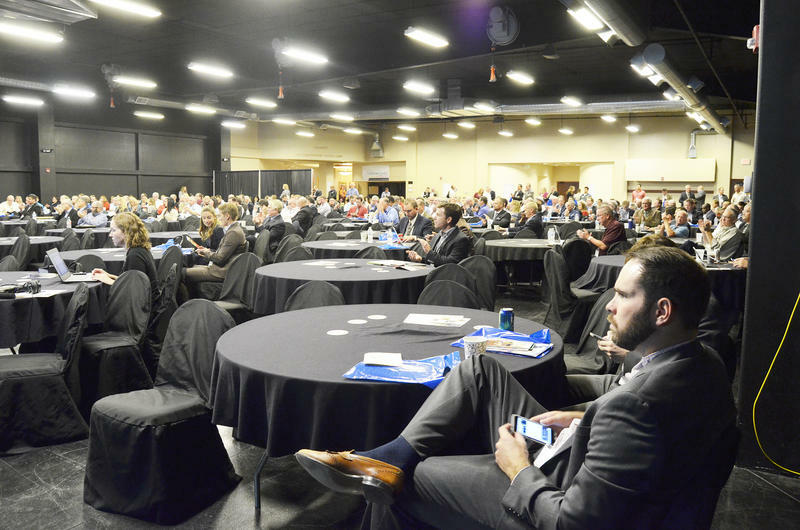 It was evident at the North Dakota Petroleum Council’s annual meeting, where the pipeline protests cast a shadow over an industry struggling amid low oil prices. 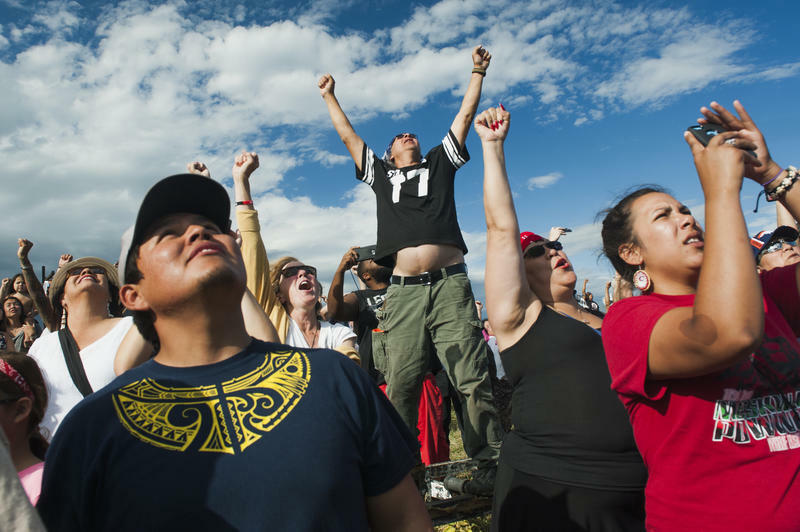 Opposition to the Dakota Access pipeline continues to grow beyond its North Dakota roots, with solidarity protests Tuesday in dozens of cities across the country and the world. 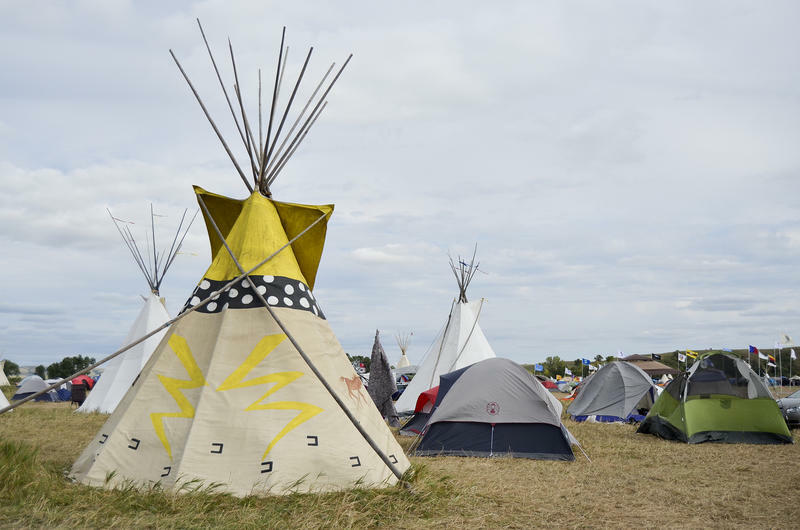 From the beginning, tribes from Wyoming's Wind River Indian Reservation have been participating in protests to stop the Dakota Access Pipeline. 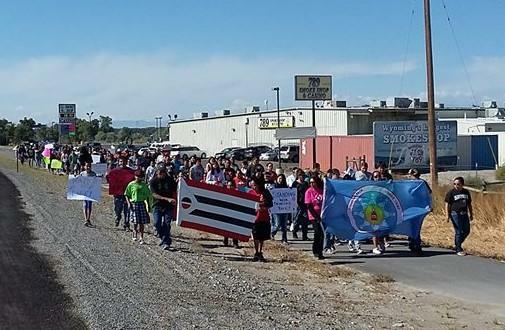 Wyoming Public Radio’s Melodie Edwards interviewed Wind River Native Advocacy Center Director Jason Baldes two weeks ago about how his organization has sent several groups of people to participate in demonstrations. Hundreds of people gathered on the lawn outside the North Dakota Capitol in Bismarck Friday afternoon for what was supposed to be a protest over construction of the $3.7-billion Dakota Access pipeline. 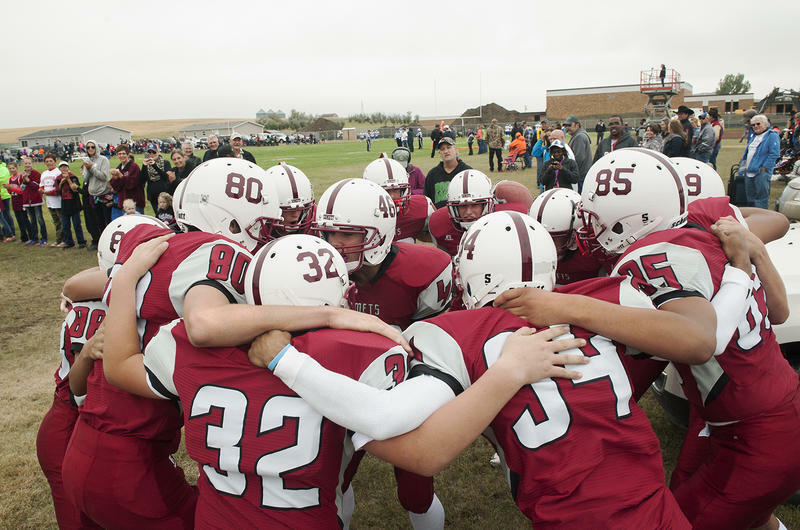 The high school football game is the center of life for small towns in much of rural America. And one town, in western North Dakota, is celebrating the return of that ritual for the first time in over a quarter century. The Alexander Comets are a six-man football team (the school is still too small to host the 11-man game). On the day before their home opener, against a small town in eastern Montana, they're going over plays and their warm-up routine. "I can’t wait for tomorrow to come," says wide receiver Jayy Morgan, "my head’s going to explode right now." 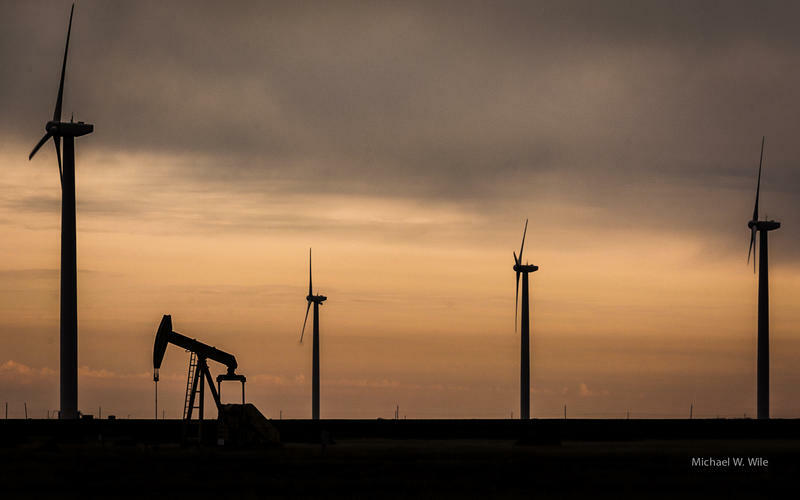 In North Dakota’s Bakken oilfield, demand for electricity has skyrocketed – unlike much of the rest of country, where demand been flat since the recession. Dale Haugen has seen this first hand as general manager of the Mountrail Williams Electric Cooperative, which serves the heart of the Bakken. In the early 2000s, things were pretty grim at the coop's offices, and in Western North Dakota, in general. The "breakeven" price for oil has fallen in step with oil prices, according to new data from the Federal Reserve Bank of Kansas City. The "breakeven" price is when producing oil is no longer profitable for companies. 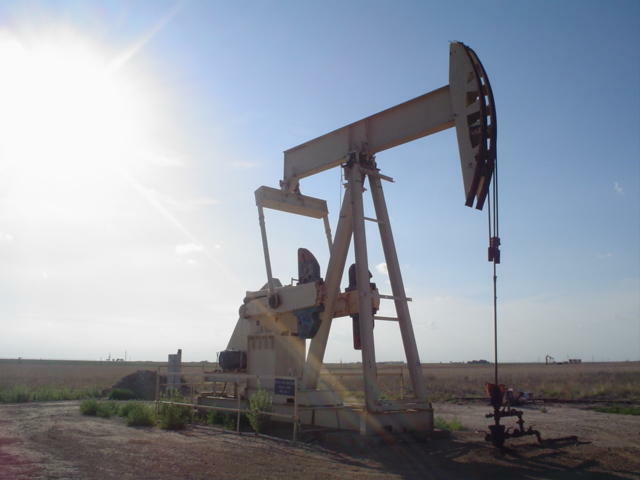 The Bank periodically surveys oil and gas companies in seven Western and Midwestern states. 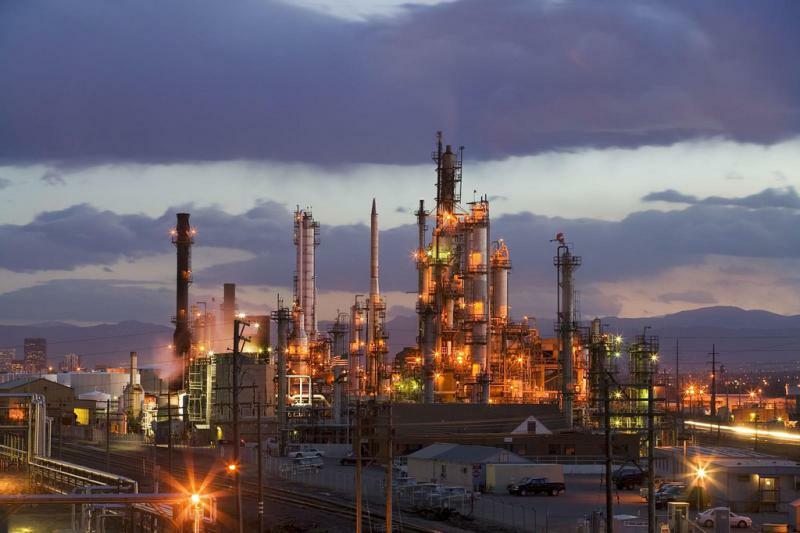 When oil prices started to slide, those companies reported an average breakeven price of $79. Now, those same companies report it's down to an average of $62. 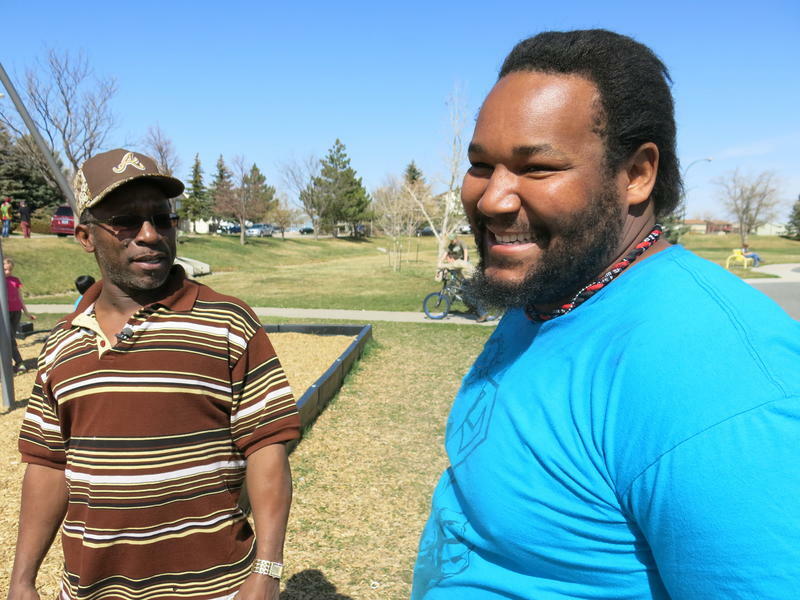 Over the last few years, Wyoming's African American population has grown faster than in any other state. According to census data, between 2010 and 2013, the number of black residents doubled. In some counties, especially those with a lot of energy development or tourism, that increase was more like 300, 500 or even 800 percent. Other rural Western states, all with unemployment rates well below the national average, are experiencing a similar trend. The budgets of oil states are going to be hard hit by the recent slide in oil prices. Measured in dollars, Texas is the clear loser, but in terms of actual on-the-ground impacts, it isn't quite so simple. 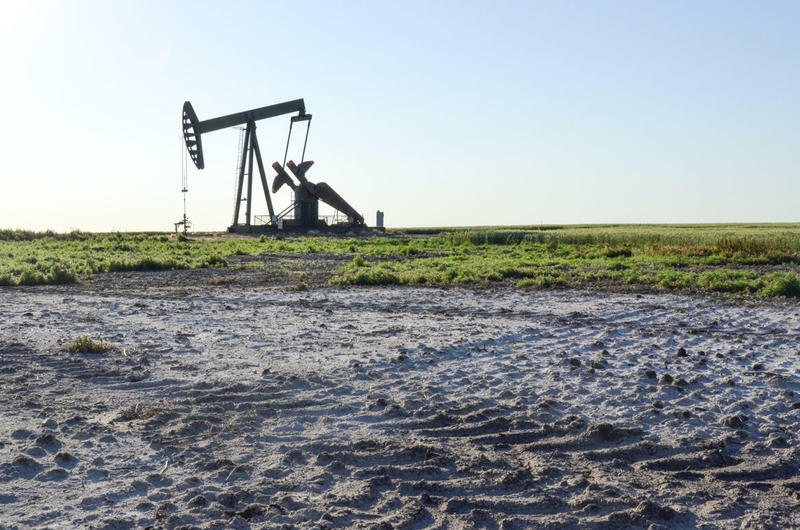 In the country’s number two oil-producing state, North Dakota, falling prices have barely caused a ripple, while in Alaska (ranked fourth), lawmakers are calling it a “fiscal apocalypse.” In Wyoming (ranked eighth), reaction has been subdued, but that may not last. A Laramie company is testing a device that could help cut the cost of producing shale oil. WellDog announced this month that it’s doing field testing of what’s called a “Raman spectrometer.” The device can help pinpoint oil and gas reservoirs thousands of feet underground. WellDog CEO John Pope says right now, hydraulic fracturing or fracking doesn’t work thirty to fifty percent of the time, but that this technology could dramatically improve that. Lifting the ban on crude oil exports would lead to lower gas prices and more oil production in the US, according to a new report from the Government Accountability Office. 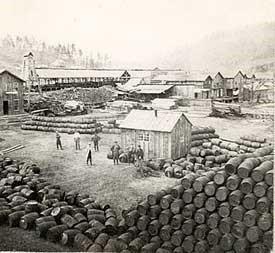 US oil exports were banned after the Arab oil embargo of the 1970s. With increasing domestic oil production, industry has said the ban is outdated and has been asking Congress to lift it. University of Wyoming economics professor Charles Mason says especially with falling global oil prices, that would help Wyoming producers. 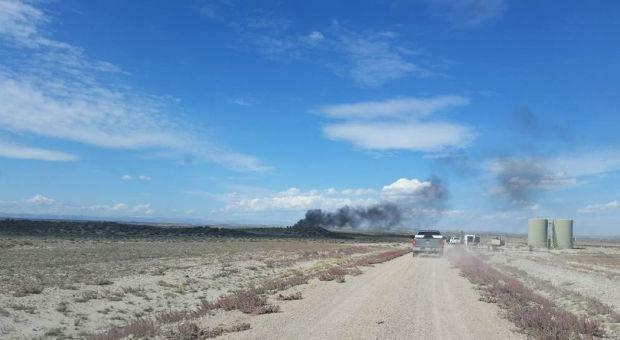 A worker has died after an explosion at a natural gas storage tank in western Wyoming. Jared Loftiss, 35, of Marbleton, Wyoming was working for Hughes Enterprises, an oilfield services company based out of Marbleton. This week, Wyoming Public Radio aired a series of stories on workplace fatalities in the oil and gas industry. 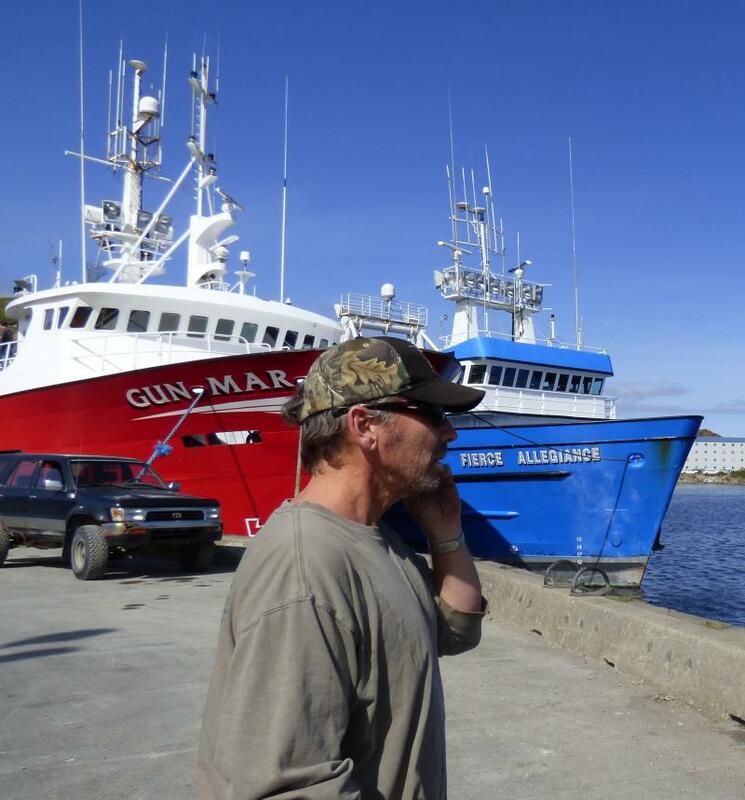 The series looked North Dakota’s high oil and gas fatality rate, Wyoming’s response to its own rising death toll, and whether there are lessons to be learned from the commercial fishing industry in Alaska, which has cut fatalities in half in the last decade. Emily Guerin of Prairie Public Radio and Stephanie Joyce of Wyoming Public Radio share some of their takeaways after reporting the series. Click here to read Part 3 of the Dark Side Of The Boom series. The dangers of the Bering Sea crab fishery have been made famous by the reality TV show Deadliest Catch. But, in the last 15 years, that industry has become much safer, in large part thanks to collaboration between industry, scientists and regulators. We wondered: are there lessons that the oil and gas industry could learn from the crab industry’s safety gains? 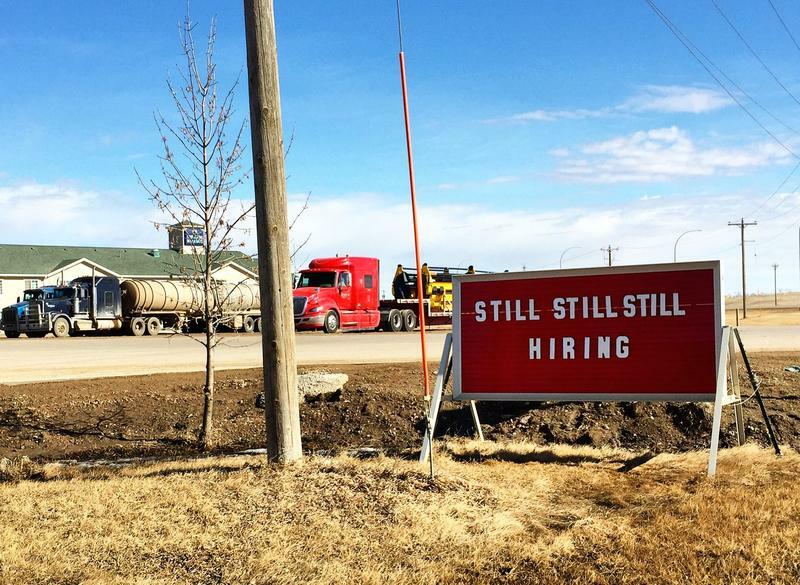 INSIDER ENERGY: Dark Side Of The Boom: What Makes North Dakota Oil And Gas So Dangerous? Click here to read Part 1 of the Dark Side Of The Boom series. North Dakota is the most dangerous state in the country for oil and gas workers. But that fact hasn't gotten a lot of attention until now. Governor Jack Dalrymple announced to Inside Energy this week that he's planning to bring together the state’s top safety officials to look into fatalities in the industry, and to see what they can do better. INSIDE ENERGY: Dark Side Of The Boom: Why Is Wyoming Safer? 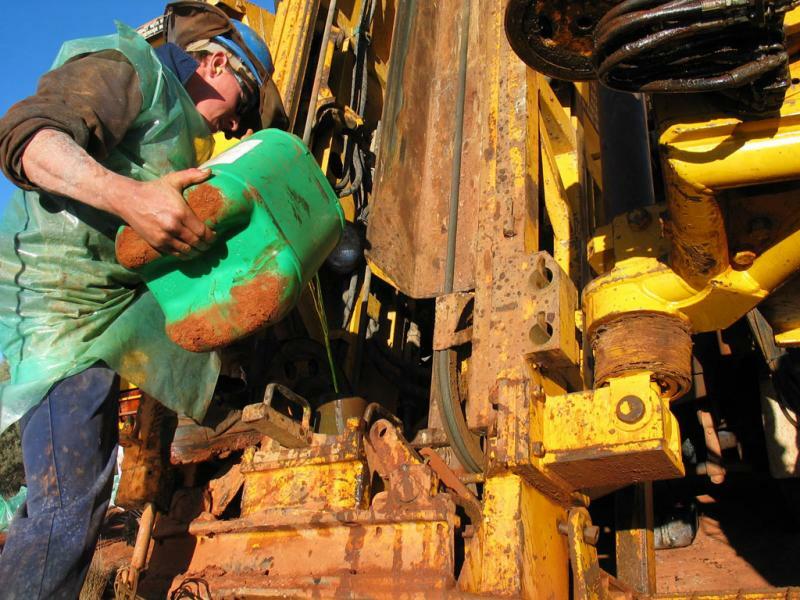 An oil and gas worker pours a defoaming agent into the drill string. Click here to read Part 2 of the Dark Side Of The Boom series. Glenrock residents are invited to attend a forum next week that will address the impacts of the oil and gas industry on landowners. The two key speakers for the event will be a private property attorney and a Wyoming resident who was evacuated from her land because of an oil blowout. 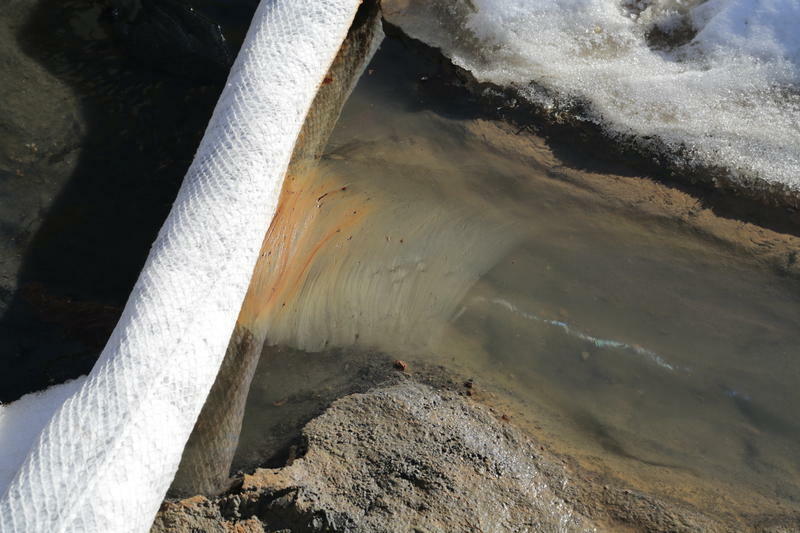 They will discuss the development of the oil industry around Glenrock, as well as risks to nearby landowners such as emissions, spills, evacuations, and the devaluing of property in the area.